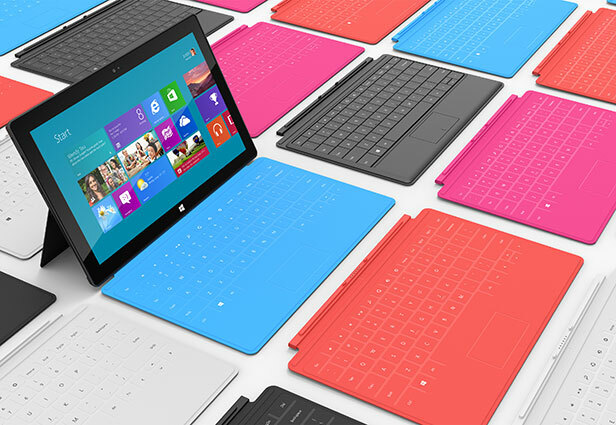 Microsoft surface and the Microsoft Tablet were in the mist of speculations that it is moving towards the tablet new inovative design technolgy. The Proevious attempt of making the microsoft Mobile tablet into the mainstream medium failed to the certain expectations. One of the expected view from the tablet Industry is to make new OS as flawless as the Windows OS, and the result comes out from Microsoft with the Windows 8 Consumer Preview in March 2012. While the Market Leader Apple iPad has emmerged out from its Version 1 to the New iPad (Version 2.2), with the revolutionary Retina Eye Display Lens Camera and the IPhone Smart Interface. The Edge of the technology in new iPad is in its Artificial Intelligence with the introduction of SIRI (Human like Assistant). The days to come will defineatly see the emergence on new hardware manufactuires like HTC, SAMSUNG, HP and many more for the Microsoft Surface Design and interface. Will the Windows 8 , in its new Avtar makes the general user a delight move or not can be dependent on the Statergy focused by the Redmond Giant. Possibly we will be in the blink on the Time in the recent Future when the ultimate aim to make the Handheld devices like the tablet or the Microsoft Surface like gadjets into trhe mainstream medium. Windows 8 will see the most of its tyesting done in the next couple of years from now. The Market is still open for more and more new technologies to excell with the benefactor of trhe medium , that enp[oses the user and the usebility on its cross stsnds. Current trends in the Android OS , Apple iOS and the Windows 8 OS will crisscross with time. Checkout the more reviews on Windows Surface device when itrs get Public as stated by Microsoft Today .